﻿ 126 Victoria Apartments Hotel, Sydney | FROM $66 - SAVE ON AGODA! "Very comfortable, pleasant and handy to larger convenience s..."
Have a question for 126 Victoria Apartments Hotel? "This apartment was a great location - within walking distance to everything, quiet, good size, great facilities." "Enjoyable stay with no problems"
"Location also very near to train and coles supermarket." "Good short stay, quiet room, comfy bed." Nestled in a quiet section of Kings Cross/Potts Point, which is just one kilometer away from the central business district and town hall, 126 Victoria Apartments Hotel is the ideal base for people who are looking for tranquil scenery. The hotel guarantees all guests get the best service and amenities. There is a wide array of interesting and fun areas are around the hotel such as the world-renowned Opera House, the stunning Harbor Bridge, several botanical gardens, and popular beaches of Sydney. Trains and busses are available all day and are just 10 minutes from the hotel. Feel free like you are staying home since 126 Victoria Apartments Hotel provides you with all the facilities one needs. The property does not have a 24-hour reception. Guests are required to inform the property at least 1 day(s) in advance of their estimated time of arrival. We were Malaysian married couple 1st to Sydney. We stay for 7 nights. Yes, it feels like home. We collected the keys ourselves, find out that the studio 1 bed is fully equipped with cooking stuff. Is good for a budget traveller who wanted to do some cooking. It was nicely decorated too. My complaint is only with the moving bed (it's come with roller). For us the price is compatible with the facilities given. Location also very near to train and coles supermarket. Well it's all good. Will come again. Overally a great place to live in. We had a comfortable stay over the 3 days we stayed in. Great location, only a short walk to King Cross Station. However, construction site next to the apartment can be noisy in the morning. Overally, a great place to live in with kitchen facilities. This place is so homey, kind of a compact one bedroom flat with an easy self check-in. There are a small kitchen corner which we can cook a simple dish (FYI, no cutlery or any fork&spoon, the rest is well equipped), a living room with a big flat screen TV, a bedroom with a super comfy bed, and a tiny attached bathroom. The location is quite good, 5mins walk to Woolworths supermarket, 10 mins walk to King Cross station and a walkable distance to the Royal Botanic Garden. There are also many restaurants that open until late night around. The only downside is the noises at night. However, just close the windows, it's fine enough. Overall, we love this place and will definitely stay here again, if we are at Sydney. Amenities. Cleanliness. Location to Station. First impressions after going through main building entrance and walking through to the apartment were maybe a little disappointing but when we actually entered the apartment we were blown away by the standard of the accommodation and how much the owners have managed to fit into a compact space. You literally could arrive here with a few clothes and every thing else was provided (except food of course). Good quality shower gel, shampoo, hand wash etc - all full size, but we especially liked the nespresso coffee machine to get our days off to a perfect start. The bed was very comfortable which made for a good night's sleep. Just a 2 min walk to Kings Cross train station or a lovely 30 min stroll through the Botanical Gardens to Circular Quay area (although be prepared for some steep steps). Many restaurants ( especially Bombay Barbeque Indian, and coffee shops just around the corner in Kings Cross. All in all the value for money for 126 Victoria was excellent and we will definitely stay again in the future. Short walk to King Cross train station. Staff were efficient enough to arrange the collection of keys after office hours, by sending us mail before checking in. This apartment is one of the cleanest hotel I have stayed at, provided us milk, coffee and tea, and useful yet sufficient cooking utensils. Overall, a great stay and I would definitely stay there again. Well done and keep it up. Location, cleanliness, the decor was awesome! We enjoyed our stay very much at Victoria 126. It was very comfy and tastefully done. Kudos to the management. No complaints, just lots of praises on the place. However people who rent a car might find it a hassle to abide by the Maximum 2Hr parking. other than that the place is awesome and we would definitely come back! There was any reception desk in there at all but still we could comunicate thru the phone with the manager, when we had a few questions . About facilities there is no place where to leave your luggage if your plan departs after your check out. Agoda made possible for me to not pay for my child that was under 2 years old because second the manager we should do. Any way I would suggest for the other small families. Except for the construction work right next door the apartment I was in was very quiet and all the furniture and fittings were well maintained. Removing the 'mirror ball' light fitting in the kitchen and putting in an ordinary overhead light would great enhance that room. 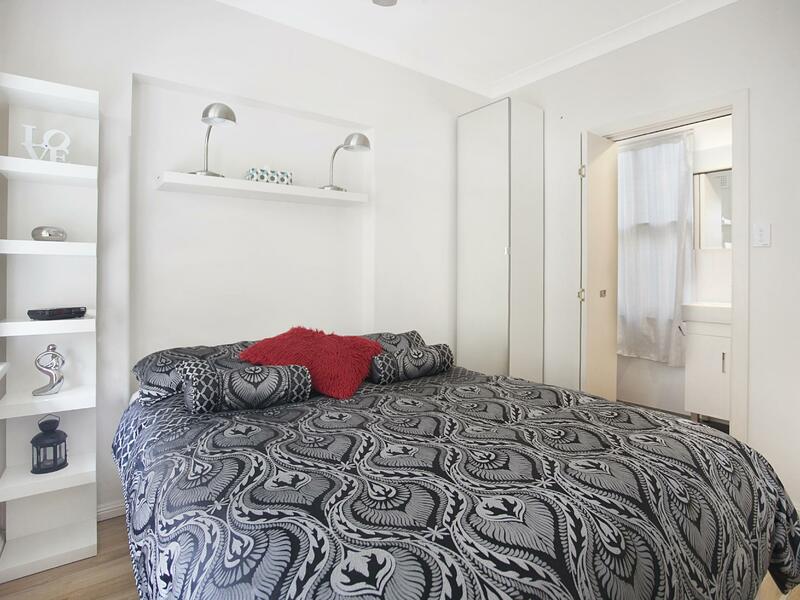 Conveniently located close to transport and a wide variety of services the apartments at 126 Victoria Street are excellent value for money and I will definitely consider staying again. This apartment was a great location - within walking distance to everything, quiet, good size, great facilities. I would stay again. There were cockroaches that came out during the night and luggage could not be left. Apart from that, much better than a hotel and it had everything I needed. The apartment was clean,close to everything,ideal for a couple. Transport was nearby. the only draw back was we had to go use stairs if you are not on ground floor no elevators my fault did'nt know til we got there, wife has bad knees. This comment will not change my thought's on the apartment,Overall i would stay there again thank's. The hotel apartment is in an excellent location for both walking into the city along with kings cross rail station. It's also a great location for shops, and bars are just around the corner! We stayed in the apartment for 5 nights at the apartment. It was nice to see that amenities like a coffee maker/dental floss/cotton buds etc. were provided, which made our stay very comfortable and felt exactly like a home away from home! It was beside King's Cross station which made it very accessible to the city and was great value for money. However, it is near to the red light district 2 streets away, so parents who are bringing their kids might want to take note. Overall it was a great and awesome stay at the apartment. We enjoyed our week in Sydney and found that the apartment was in a good location, near to the underground station and with plenty of restaurants and shops nearby. The apartment was quiet and secure, clean and tidy and the owners had provided everything for a comfortable stay. We were glad to be able to arrange an airport bus collection nearby as we had to leave at 5am. We would stay again if we return to Sydney and would recommend to friends, as we felt it was good value. It is close to the city without being in the CBD, it has privacy and it is big for your dollar. I really liked staying in the apartment. What matters for me when I travel is space, and you find find a more spacious place for this price. Everything is clean and it is very private. It feels like your very own place. I loved it. Apartment style, self contained, location. 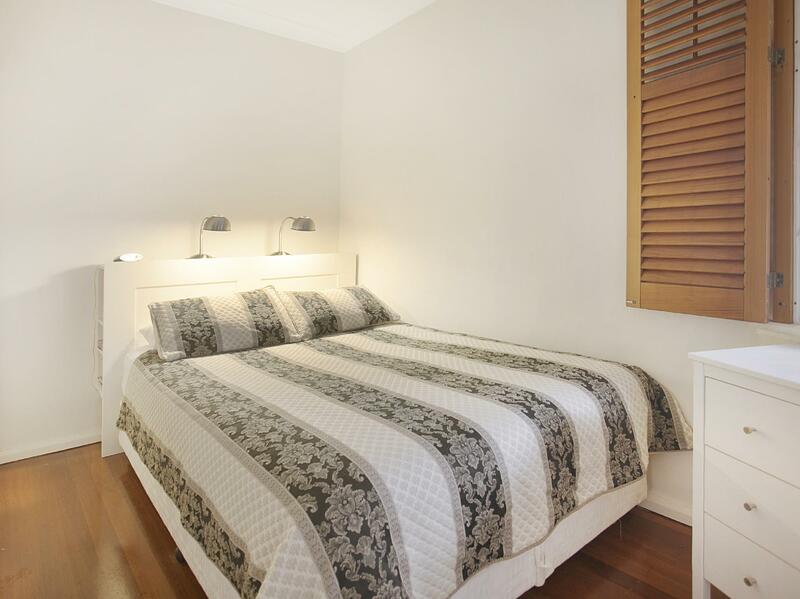 Very good stay, comfortable 1 bedroom accomodation with all facilities. Location excellent, easy access to kings cross area, station and Sydney harbour. Would stay again. Overall the stay is good but early check in and late check out and wifi need additional charges. The shower heater is difficult adjust as it is either too hot or too cold.